This Lemon Bread is the best lemon loaf on the planet! 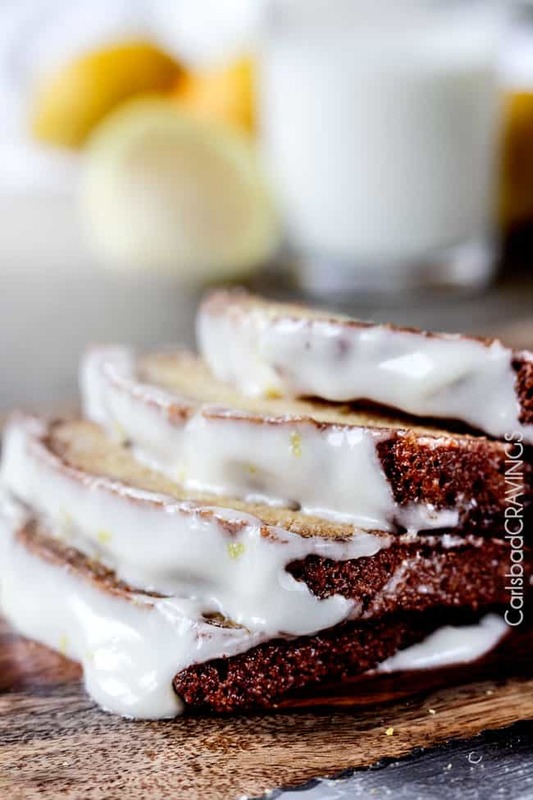 This Lemon Bread is crazy tender, packed with three types of lemon in three places – the bread, the syrup and the tantalizing Cream Cheese Lemon Glaze. I don’t know if you can handle this level of lemon deliciousness – but I think you should try. This Lemon Bread recipe is the perfect balance of sweet and citrus so you can devour it for breakfast, dessert or a snack. This Lemon Bread recipe is moist without being oily, soft, without being springy, made with pantry friendly ingredients and is freezer friendly! It is also easily adaptable to Lemon Blueberry Bread, Lemon Poppy Seed Bread, Lemon Pistachio Bread and Lemon Almond Bread (instructions included) – because you are going to want to devour this Lemon Bread any way you can! Why this is the BEST lemon bread! This is the BEST Lemon Bread out there, in my humble opinion. It is the perfect balance of sweet citrus due to not 1, not 2 but 3 steps of sugar infused lemon! MOIST: It is crazy moist without being oily from a combination of sour cream and vegetable oil and the lemon syrup seeping into the bread – more on that later. REAL LEMONS: I use real lemons, and not just one part, the juice OR zest I use both. 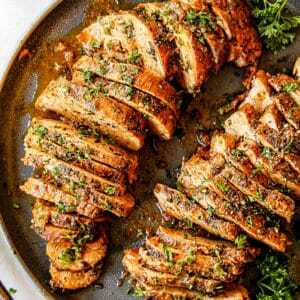 LEMON EXTRACT: However, my friend I do not stop there, I also use lemon extract in both the bread and glaze, which delivers a concentrated lemon flavor that cannot be achieved in any way – so a massive concentration of lemon love. You could say a Lemon love ‘trifecta’! But I do not stop with the lemon trifecta. 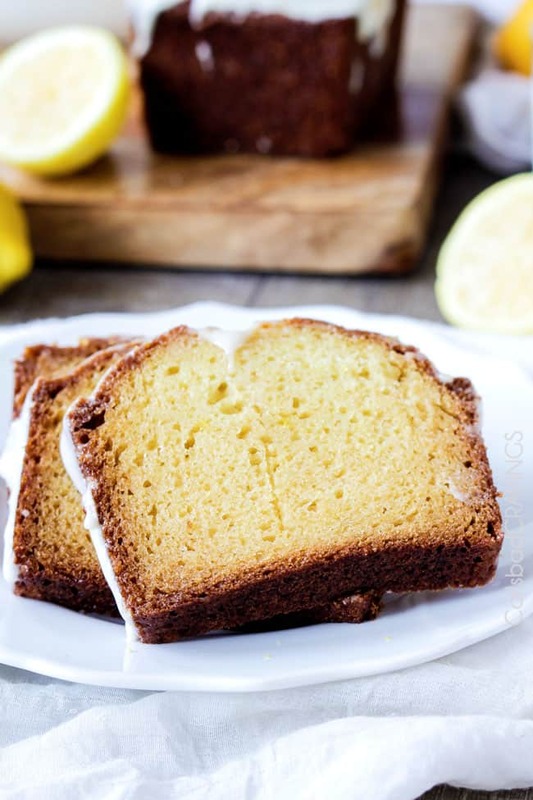 LEMON SYRUP: My Lemon Bread is yummy and wonderful on its own, but an added lemon syrup seeps into the bread transforming into the moistest Lemon Bread you’ve ever tasted AND envelops the bread in an enticing sugary crust. 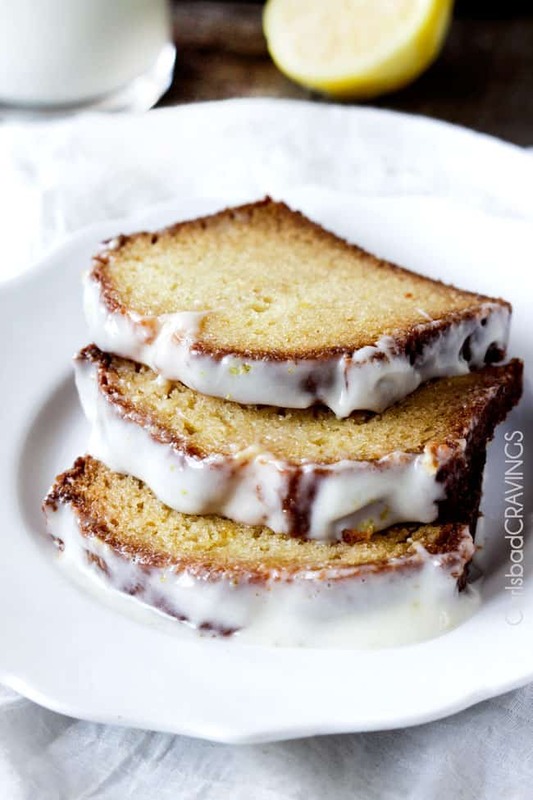 LEMON GLAZE: Finally, the Lemon Bread is finished with a velvety Cream Cheese Lemon Glaze that boasts both lemon juice and lemon extract whipped into the cream cheese and sugar for a creamy, silky, sugary, citrus glaze that is one of my favorite things ever. Well, that and the lemon syrup, and the lemon bread and all three combined to create the BEST Lemon Bread! Starbucks lemon loaf cannot even keep up with all our layers and levels of lemon goodness. 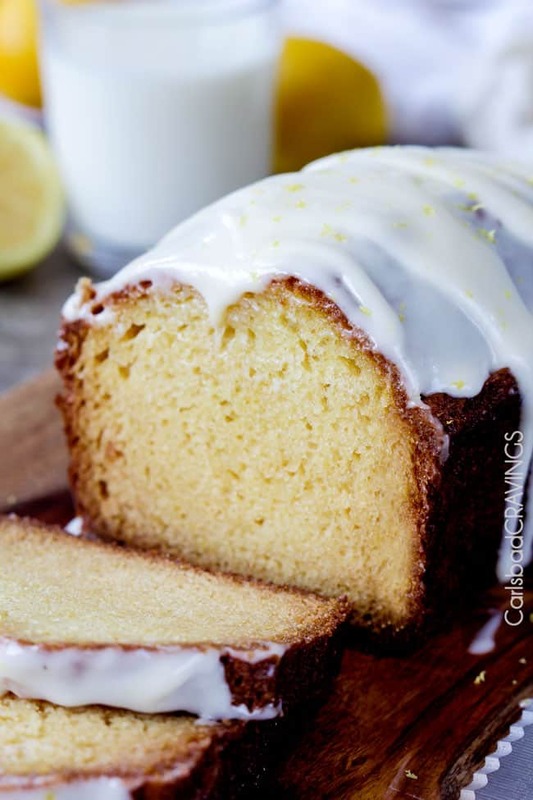 VERSATILE: This Lemon Bread is versatile as well! I will show you below how you can change it into other amazing other lemon bread varieties: Lemon Blueberry Bread, Lemon Poppy Seed Bread, Lemon Almond Bread and Lemon Pistachio bread. Bring your personal taste and mood to this magnificent Lemon Bread! How to juice a lemon for maximum yield! 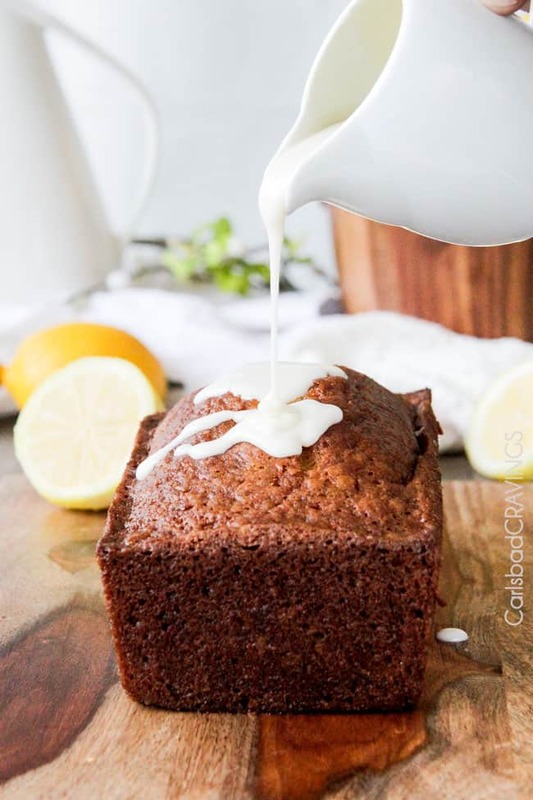 You will need 6 tablespoons lemon juice for this Lemon Bread recipe – for the syrup and the glaze.Fresh lemon juice is always best, so it is important to know how to juice a lemon to achieve our moist and tangy Lemon bread. First, you need to break down the membranes inside the lemon. The membranes hold all the juicy goodness we want! Start with room temperature lemons. Microwave the lemon for 30 seconds if needed; or simply let warm in a bowl of war water. Allow to cool down and proceed. Vigorously roll the lemon on the counter top for a few seconds. Cut the lemon lengthwise – this allows you to get a better grip and therefore more juice. Use a lemon reamer or other gadget to extract more juice. I often use a grapefruit spoon to get in in there good and find all the membranes of juice. Lemon Bread is so easy to make because it is a type of quick bread which means it doesn’t require yeast, kneading or rising. All you need for this Lemon Bread is 2 bowls and a whisk! Grease Pans: You will need one 8 1/2 by 4 1/4 by 2 1/2 – inch loaf pan. Make sure you use the correct size or your bread will not rise or bake correctly. I also line my pans with parchment paper so I NEVER have a problem with sticking. This is especially important with this Lemon Bread due to the sticky lemon syrup. Dry Ingredients: Sift the sift together the flour, baking powder, and salt. Sifting ensures a lighter, Lemon Loaf, but you can skip this step and just whisk them together with a whisk if your short on time – or patience. 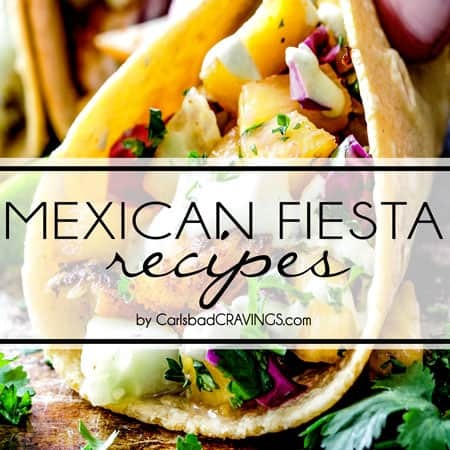 Wet Ingredients: In a separate large bowl, whisk together the sour cream, sugar, eggs, lemon extract, lemon zest, and vanilla. Combine: Slowly whisk the dry ingredients into the wet ingredients. With a rubber spatula, fold the vegetable oil into the batter until its fully incorporated without overmixing. You never want to overmix because this develops the gluten which will result in a dense bread. 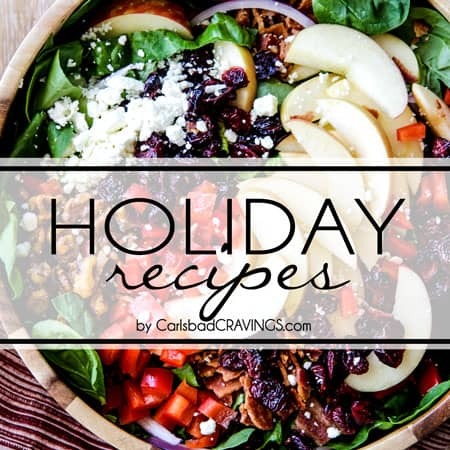 Bake: Pour the batter into the prepared pan and bake for approximately 50 minutes, or until a cake tester placed in the center of the loaf comes out clean, adding foil to cover the top of the loaf the last 10 minutes of baking if necessary. Don’t open the door until the Lemon Bread is mostly cook or else it can fall in the center or cook unevenly. Cool: When the cake is done, allow it to cool in the pan for 10 minutes then carefully transfer to a baking rack over a sheet pan (for easy clean up after cream cheese drizzle). Do I have to Add Lemon Syrup? Please don’t skip this lemon syrup! Not only does it seep into every crevice of the bread, it envelopes the outside of the bread with a thin crystallized sugar lemon coating that is divine. 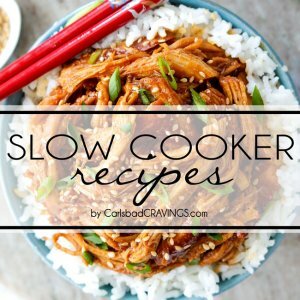 Do I have to Add Lemon Glaze? The Cream Cheese Lemon Glaze is luscious, lemony, silky perfection. I want eat it with a spoon. 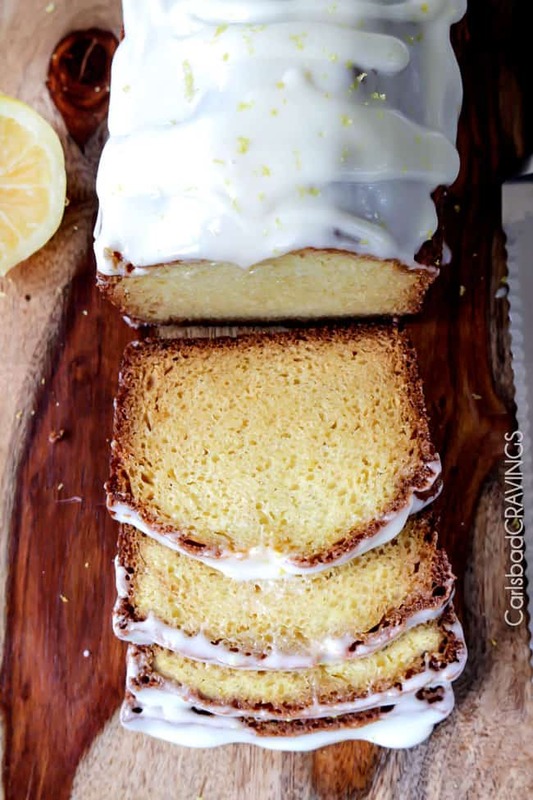 You don’t have to add the glaze to the Lemon Bread, like I feel like you have to add the lemon syrup, but I HIGHLY recommend it because every bread is better with a cream cheese glaze! 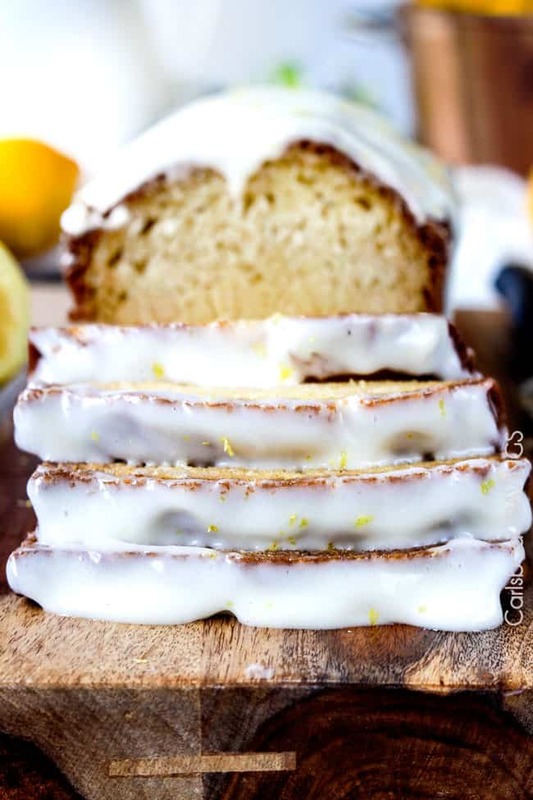 The lemon glaze is made by whipping cream cheese, powdered sugar, lemon juice and lemon extract together then poured all over the Lemon Bread. It’s minimal effort with a HUGE return. I take out the sour cream and eggs 30-60 minutes before starting. Room temperature ingredients mix more easily which results in a lighter texture and prevents you from over-mixing. Sometimes lemon recipes will indicate juice from one lemon. 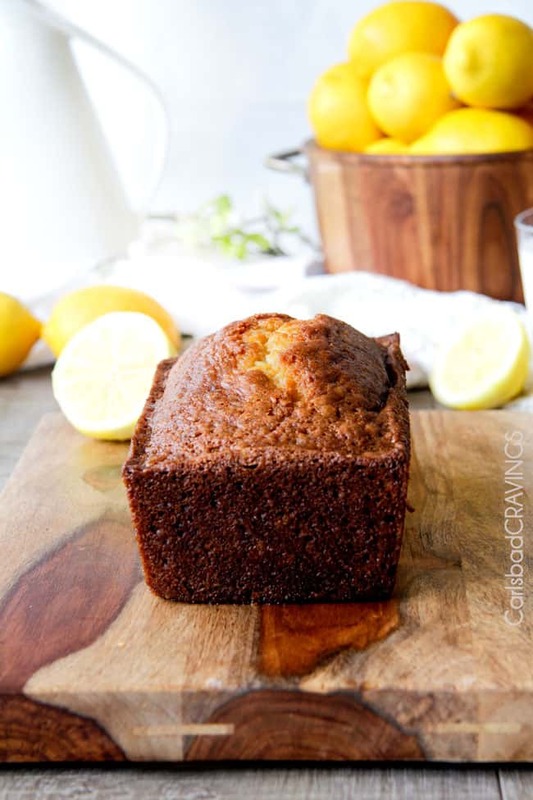 An average lemon will provide you with about 3 tablespoons of lemon juice, so for this Lemon Bread recipe, you will need 2 lemons (6 tablespoons). Lemon zest is an ingredient in this recipe. This is the bright yellow outer layer of the lemon peel. Use a micro-plane or a box grater for grating. Make sure you only stop grating at the yellow part as the white under part (pith) is extremely bitter. Don’t use lemon oil and lemon extract interchangeably – they are NOT the same. We want lemon extract for this Lemon Bread recipe. Do not overmix or this will make a tough, dense Lemon Bread. Ensure your oven is preheated to the right temperature and the rack is placed in the middle of the oven. I suggest using a wooden skewer, or long toothpick to test the bread doneness. 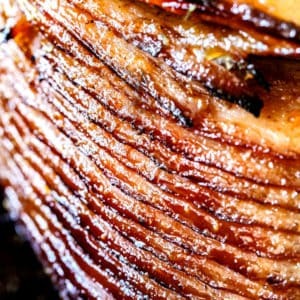 If you find that your loaf is still not done, but browning on the top, you can always place a sheet of aluminum foil loosely over the top and make sure that most of the heat is coming from the bottom. SHOULD LEMON BREAD BE REFRIGERATED? Lemon bread stores fabulously well at room temperature due to the lemon and oil for up to three days. Afterwards, it should be refrigerated – if it lasts that long! Below is how to properly store Lemon Bread but if you still have extra, or your bread gets dry, I highly recommend trying lemon bread pudding! Once the glaze is completely set, wrap the Lemon Bread tightly in plastic wrap. Store Lemon Bread at room temperature for up to five days. After three days, you may want to place the Lemon Bread in the refrigerator to prolong its life. Lemon Bread can keep in the refrigerator for up to 7 days. CAN I FREEZE LEMON BREAD? Absolutely! If you have leftover Lemon Bread or want to make Lemon Bread in advance so you can just and thaw and eat, freezing is a great option. Once the glaze is completely set, wrap the Lemon Bread tightly in plastic wrap, at least 2 layers worth to prevent freezer burn. Freeze Lemon Bread for up to three months. To thaw, unwrap bread so the condensation does not make it soggy and let sit at room temperature overnight. WHAT TO EAT WITH lemon BREAD? 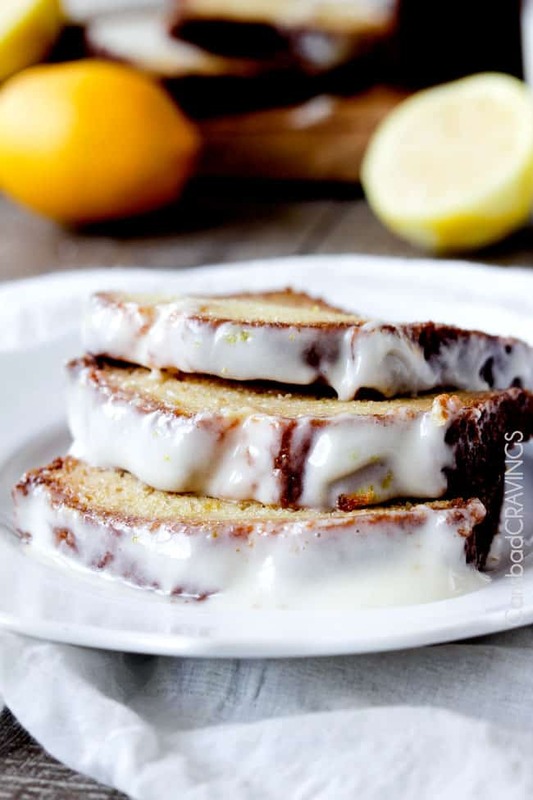 Do you have a favorite way to serve Lemon Bread? CAN Lemon BREAD BE MADE INTO MUFFINS? Yes! I actually have adapted this easy Lemon Bread into Muffins by scaling the recipe down. 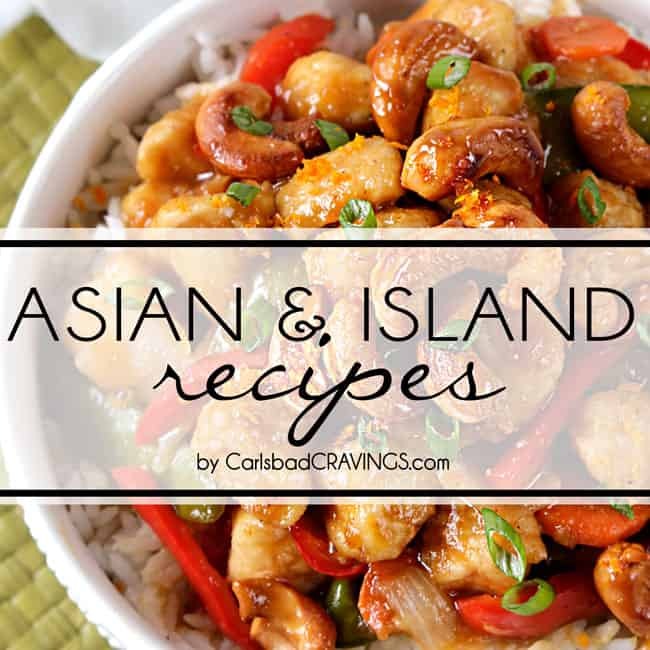 Simply go to the recipe card under servings, change it to 1.5 servings. Technology is so rad! This will make approximately 22 muffins. Follow the same instructions for mixing and pour into lightly greased cupcake liners. Bake at 350 degrees F for 22-28 minutes OR until toothpick comes out clean. I love the combination of lemon and blueberries so Lemon Blueberry Bread is always a favorite! 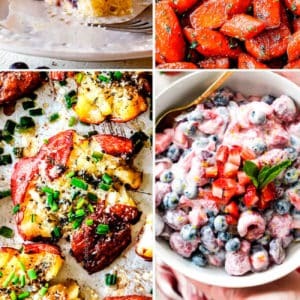 You can also use raspberries and other berries but be aware that other berries bleed much more than blueberries because the juices aren’t neatly encased in the berry. When making Lemon Blueberry Bread, I try to use smaller blue berries as they disperse more evenly and it seems to allow the batter to cook more evenly. I prefer fresh blueberries, but you may also use frozen blueberries as well. You do not have to defrost the berries before you bake with them. Add 1 cup (150 grams) blueberries + 2 teaspoons all-purpose flour to a medium bowl. Toss the blueberries with the flour. This helps the berries not to sink to the bottom of the bread but to stay evenly dispersed. Next, fold the blueberries into the batter after you have already combined the wet and dry ingredients. Bake according to directions and proceed with the recipe as outlined. Simply add ½ tablespoon poppy seeds with the dry ingredients. You may also add about ½ teaspoon poppy seeds to the frosting as well. Gently fold in ½ cup slivered almonds to the batter before baking. You can also add 1 teaspoon of almond extract to the glaze, or frosting. One of my favorite combinations is lemons and pistachios – so why not Lemon Pistachio Bread?! 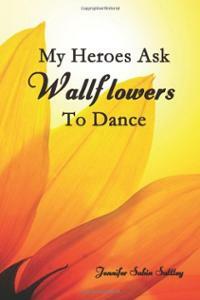 It is a dreamy must try! To make, simply stir in 3/4 cup shelled salted pistachios to the batter before baking. You can also purchase shelled pistachios if you want to save time – and you nails! Can Dogs eat Lemon bread? While lemons are not toxic for dogs, this Lemon Bread is NOT the best treat for your canine. Most dogs do not like citrus flavor, however, my friend had her dog jump on her countertop to devour her lemon bread. So, we know this bread is appetizing for us and our best friends. I do not have to worry about my short little Kiwi snatching food but for those with dogs higher off the ground, too much lemon can make a dogs stomach upset. The psoralen compounds and aromatic oils in lemons are not good in amounts larger than a few drops at a time. 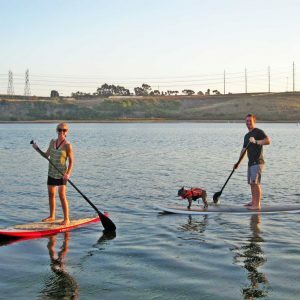 After having to research this with my friend and her hungry dog I just thought I would pass on the info. So, guard all the Lemon Bread for yourself! Want to try this Lemon Bread Recipe? 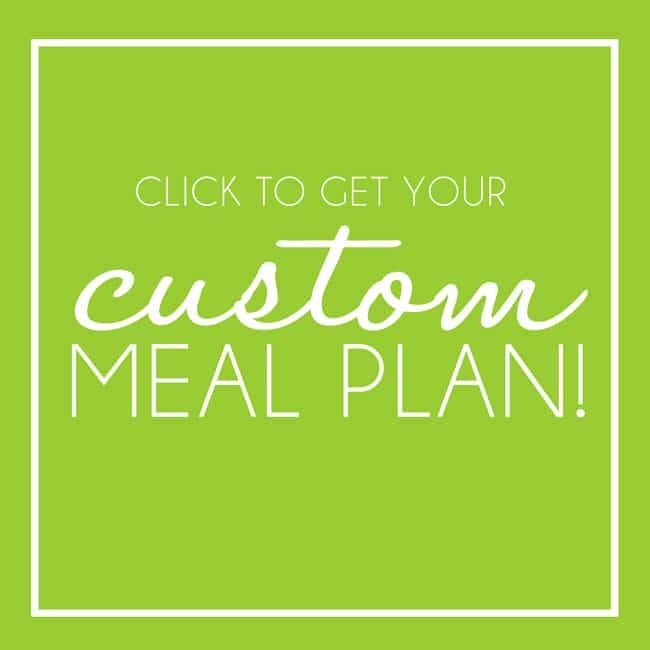 Pin it to your SUMMER, LEMON or DESSERT BOARD to SAVE for later! This Lemon Bread is the best lemon loaf on the planet!This Lemon Bread is crazy tender, packed with three types of lemon in three places - the bread, the syrup and the tantalizing Cream Cheese Lemon Glaze. I don't know if you can handle this level of lemon deliciousness - but I think you should try. This Lemon Bread recipe is the perfect balance of sweet and citrus so you can devour it for breakfast, dessert or a snack. This Lemon Bread recipe is moist without being oily, soft, without being springy, made with pantry friendly ingredients and is freezer friendly! It is also easily adaptable to Lemon Blueberry Bread, Lemon Poppy Seed Bread, Lemon Pistachio Bread and Lemon Almond Bread - because you are going tot wan to devour this lemon bread any way you can! Preheat oven to 350F degrees. Line the bottom of 8 1/2 by 4 1/4 by 2 1/2 - inch loaf pan with parchment paper. Grease with nonstick cooking spray WITH FLOUR IN IT (or grease and flour pan). Lemon Loaf: In a medium bowl, sift together the flour, baking powder, and salt. In a separate large bowl, whisk together the sour cream, sugar, eggs, lemon extract, lemon zest, and vanilla. Slowly whisk the dry ingredients into the wet ingredients. With a rubber spatula, fold the vegetable oil into the batter until its fully incorporated without overmixing. 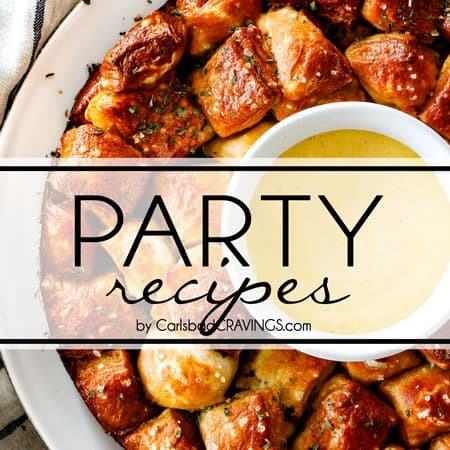 Pour the batter into the prepared pan and bake for approximately 50 minutes, or until a cake tester placed in the center of the loaf comes out clean, adding foil to cover the top of the loaf the last 10 minutes of baking if necessary. When the cake is done, allow it to cool in the pan for 10 minutes then carefully transfer to a baking rack over a sheet pan (for easy clean up after cream cheese drizzle). 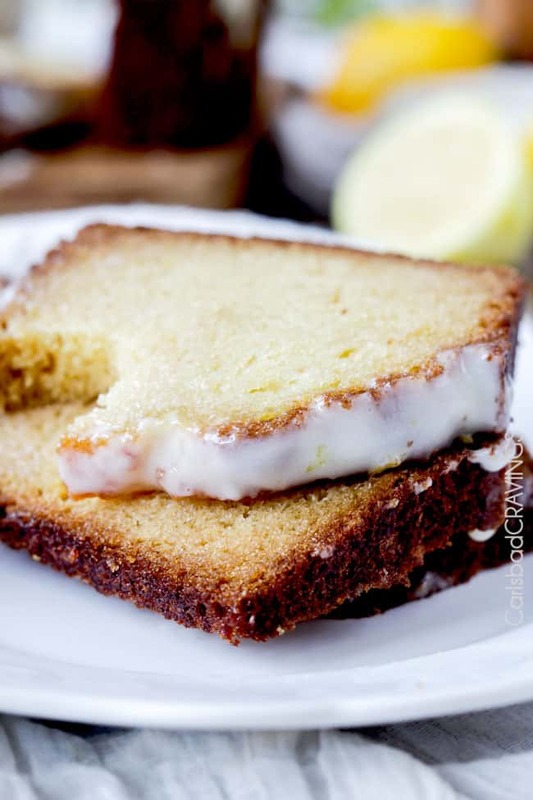 Lemon Syrup: Meanwhile, while cake is cooling, cook 1/4 cup lemon juice and 1/3 cup sugar in a small pan until the sugar dissolves and the mixture is clear. While the cake is still warm, poke holes or slits all over the loaf and pour this Lemon Syrup over the cake and allow it to soak in. Cream Cheese Lemon Glaze: In a large mixing bowl, beat cream cheese until soft and very creamy. Beat in 1 cup plus 2 tablespoons confectioners' sugar, lemon juice and lemon extract. Taste and add additional sugar if you like a sweeter glaze. If you want a thinner glaze, mix in additional lemon juice or milk if desired. 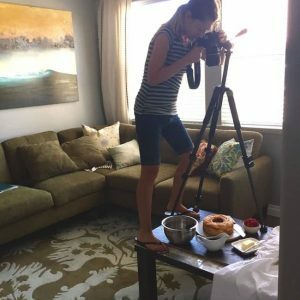 I like to pour a layer of Glaze all over the cake, let it set then drizzle another layer then use the remaining glaze on individual slices OR you can drizzle Glaze all over the cake. Enjoy! *May sub light sour cream or light Greek yogurt and will still be delicious but full fat sour cream is best. Don’t use lemon oil and lemon extract interchangeably - they are NOT the same. We want lemon extract for this Lemon Bread recipe. Add ½ tablespoon poppy seeds with the dry ingredients. You may also add about ½ teaspoon poppy seeds to the glaze as well. Stir in 3/4 cup shelled salted pistachios to the batter before baking. 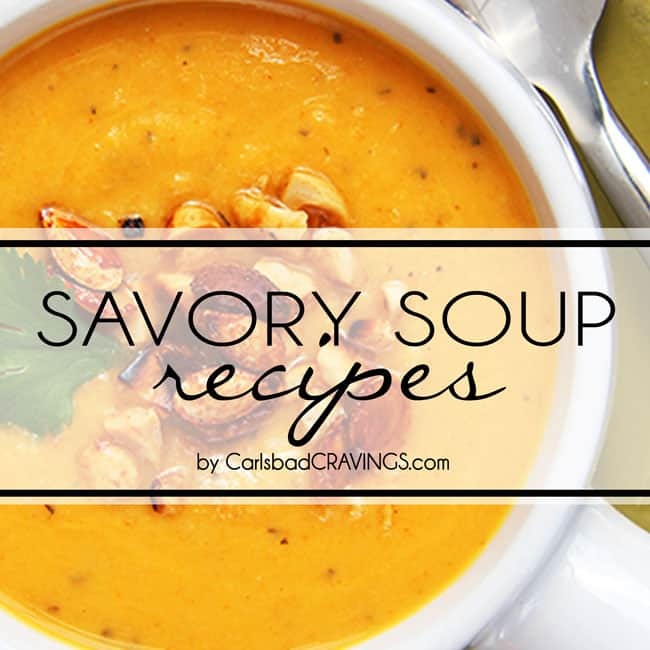 Simply go to the recipe card under servings, change it to 1.5 servings. Technology is so rad! This will make approximately 22 muffins. Follow the same instructions for mixing and pour into lightly greased cupcake liners. Bake at 350 degrees F for 22-28 minutes OR until toothpick comes out clean.